I have been keeping this blog pending for some time now. 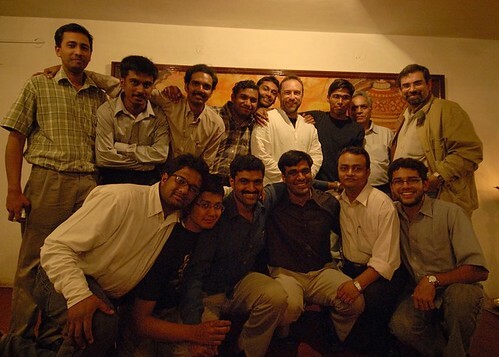 I met Jimmy Wales along with other wikipedians and wikians from India on 29th September 2006. Then we discussed the meetup over email and finaly we met at Coconut Groves in Church Street, Bangalore. Unfortunately we couldn’t have the movie show as Jimbo wished since there was some clash with other movie shows. He obviously had a super star status and his reputation clearly preceded him. When he stepped in to the hotel at our table, everyone stood up, the way students stand up when the head master walks in. Then followed an eerie silence. I half expected everyone to chorus, ‘Good Evening Sir’ 🙂 It was funny in a strange kind of way. But then, it was understandable. 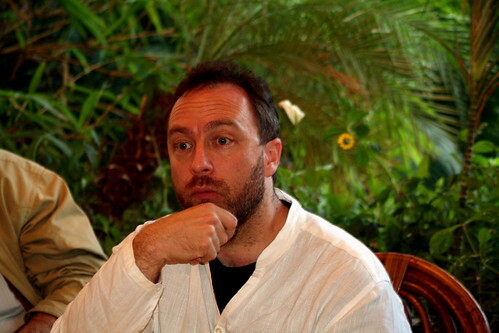 Jimmy Wales has a bigger than life image. Most folks are meeting the man for the first time, of whom they had heard great things about. The situation can be a bit oveawing. 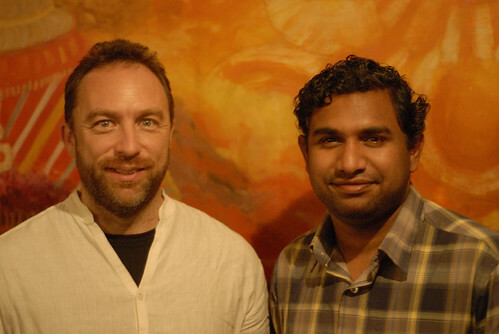 We discussed the challenges (technical/cultural…) that India language wikipedias are facing. We had Bhadani , who has most number of edits on English wikipedia from India came all the way from Chennai for the meet. We had some tender coconut and some snacks during the meetup. kidilam aliya!! kidilam… u sure are becoming a big shot! !